then create cool waves using lengths of Ric Rac. This card would make a great keepsake. Add a vintage look to your decor by turning an ordinary jam jar into a stunning vase. 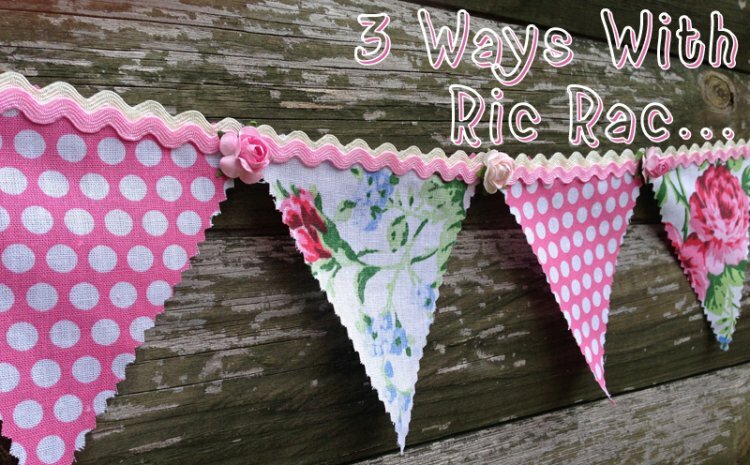 We love the bright pop of colour you get by adding the bright Ric Rac ribbon to the white embellishments. TIP: Tailor the Ric Rac ribbon colour to match your room colour.